BRIGHTON, Mich. – If you live in Brighton and have kids then here are a few announcements from Dr. Greg Gray (BAS Superintendent) about the Brighton Area Schools Calender for this coming school year! School starts on Tuesday, September 4th and it will be a full day so make sure your kids know this before they start out on their first day. 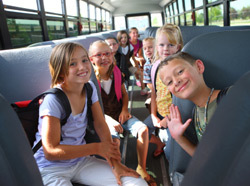 We know that you’ll need plenty of time to work out a schedule to get your kids to and from school in your Ford so here are the approximate starting times for the 2012/2013 school year. We also have the dates for when the school is closed due to holidays and conferences so hopefully these will make planning your vacations easier for you! The last day of school will be a half-day on June 7th. 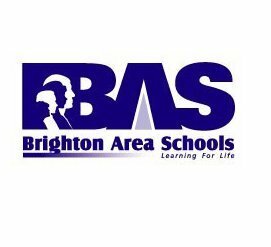 So if you haven’t already then start getting all of your kids’ school supplies together because according to the Brighton Area Schools Calender, school is starting sooner than you'd hoped! If your kids are older then you could even stop in to see which Ford vehicle would be the safest and most affordable for your teenager. If you have any questions then call us anytime or schedule a test drive, we’re always here to help!